High Gear Hockey is the premier provider of ice hockey and ice skating skill courses in Northwest Pennsylvania. We provide a complete and comprehensive skating and hockey instructional program. 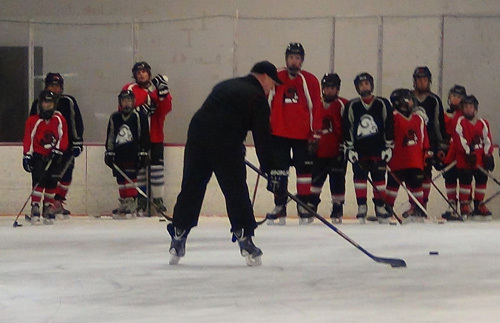 Our skating and skills classes are designed for hockey players of all ages and abilites. Our programs improve skating abilites and stick handling skills which improves team performance. High Gear Hockey strives to create and sustain a fun and safe hockey environment while building self-esteem and confidence.